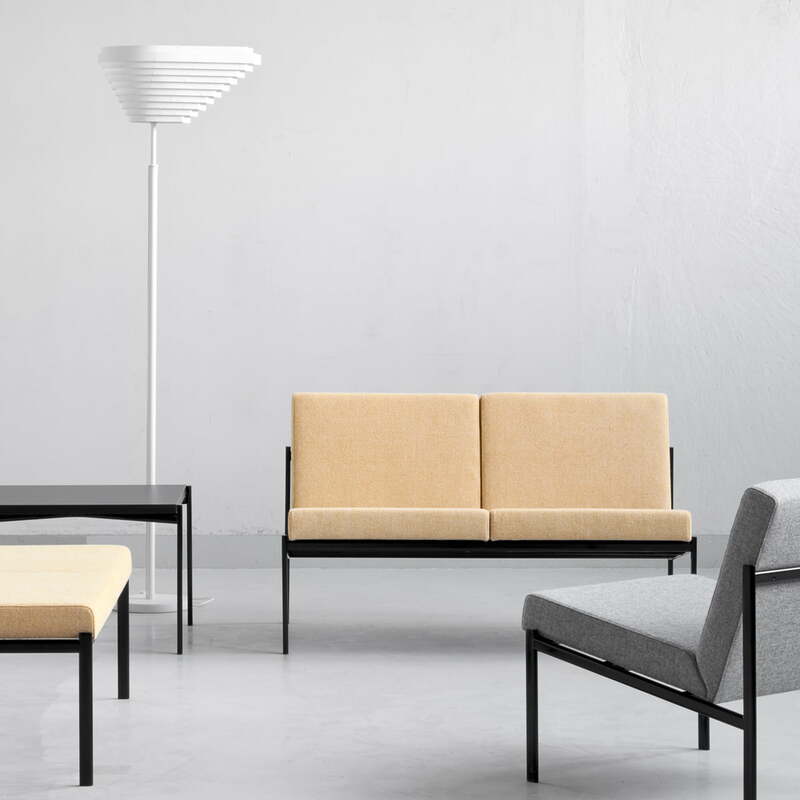 The timeless, elegant shapes of the Kiki sofa by Artek come from the year 1960, when Ilmari Tapiovaara designed it. The Kiki collection was such a success that it permanently influenced the subsequent course of furniture design. 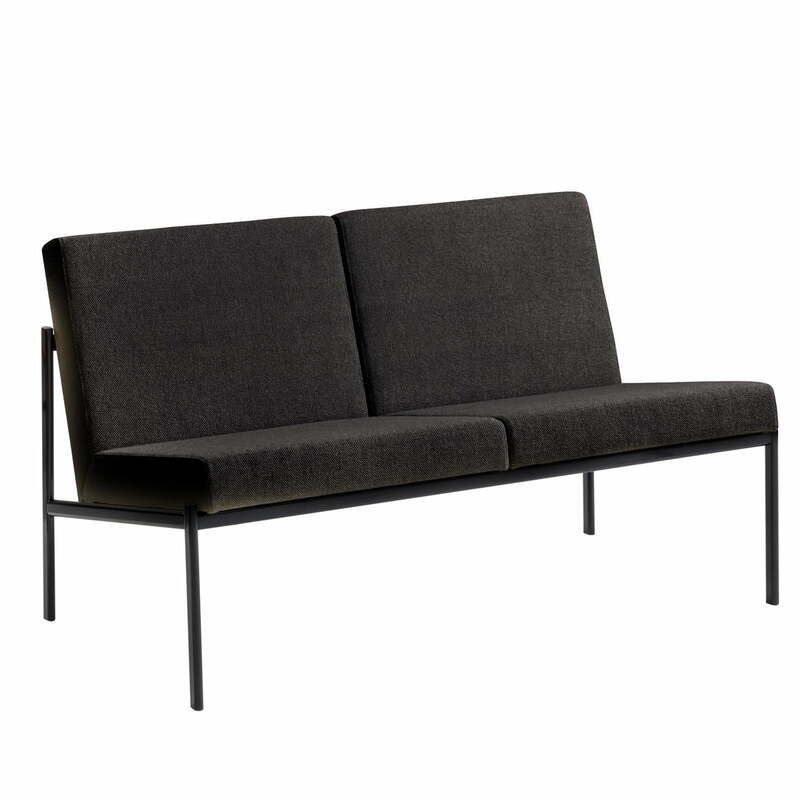 The couch, manufactured in Finnland under constant quality control, consists of robust upholstery and a steel frame. If you look more closely, you’ll see that the steel tubing is oval-shaped and not round, unlike most steel tubing. This gives it a completely different effect, skilfully and indirectly. Even the rest of the manufacturing is oriented towards the design: welding is done without leaving a mark and the high-quality lacquer provides the astonishingly lightweight, yet enormously stable frame with an elegant appearance. The polyurethane foam and Dracon upholstery of the sofa is robust, ergonomic and comfortable. The handcrafted comfort is also inviting for longer ‘lounging traps’. The seemingly weightless Kiki sofa can be combined with many styles and also used in public as well as private spaces. 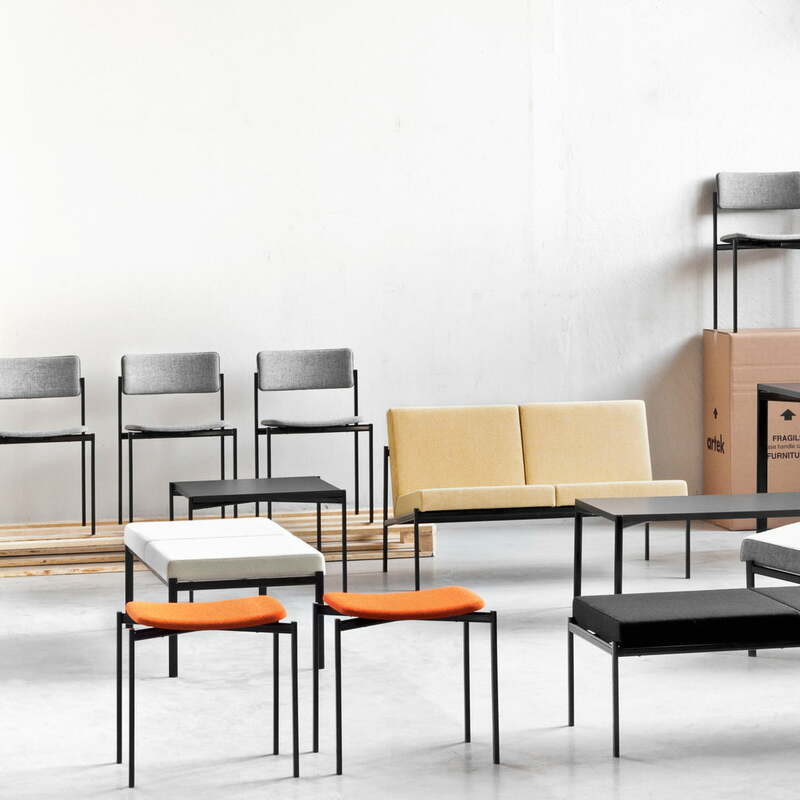 The Kiki collection won the golden medal at the Milan Triennale in its debut year, 1960, and counts as one of the most used pieces of furniture in public areas in Finland. The Kiki sofa is available as a 2-seater, 3-seater or as a single armchair. Different colours and fabrics or leather can be chosen.